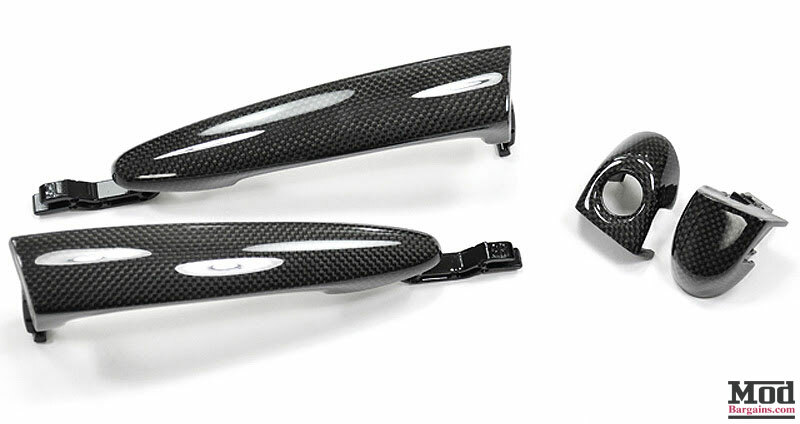 Add that special carbon fiber touch with these carbon fiber door handles for your E92 / E93 BMW. Add an extra carbon fiber touch to your BMW E92 / E93 3-Series with a set of carbon fiber door handles. They are OEM door handles skillfully wrapped in carbon fiber to give you a flawless look and guaranteed perfect fitment. These carbon fiber door handles are a perfect compliment to any other exterior or interior carbon fiber parts. With limited stock, get your set of carbon fiber E92 / E93 door handles before they run out!